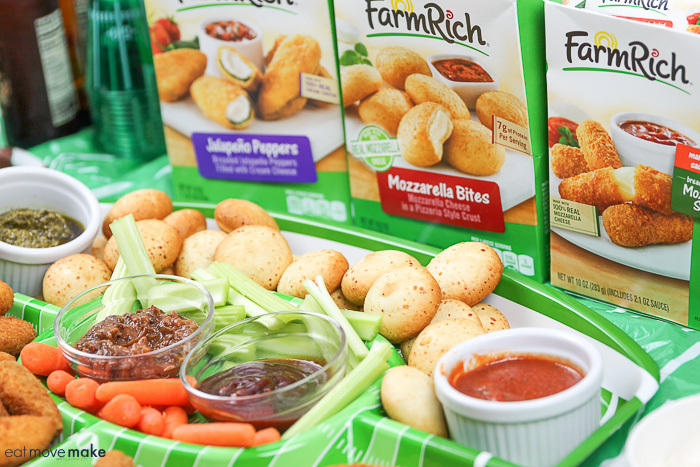 My game day appetizers post is sponsored by Farm Rich. Ideas and opinions are my own. We love homegating! It’s the new, leveled up version of tailgating! 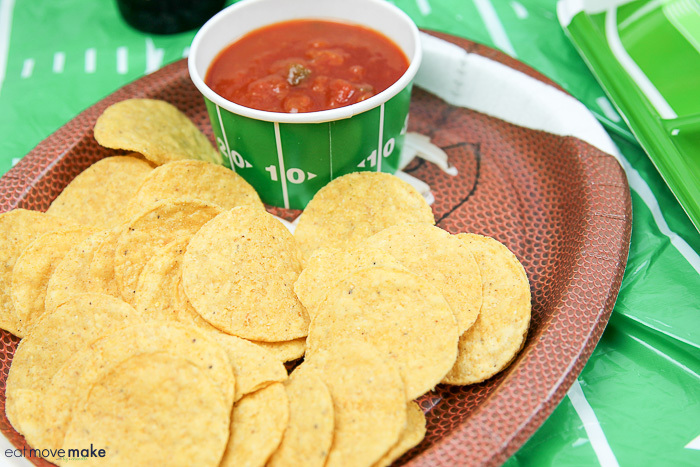 When you combine food, friends, family and football, it’s a touchdown every time. And now that we have an even bigger TV, we’re super excited to watch our most anticipated football games of the year in larger-than-life style while munching on our favorite game day appetizers! 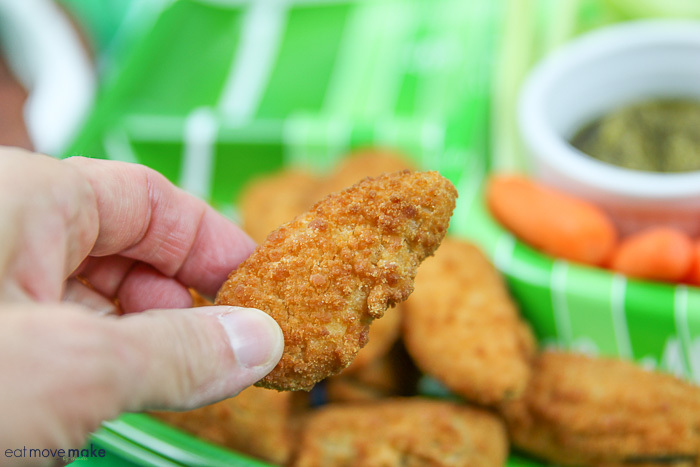 The key to choosing winning game day appetizers is to stick with quick, easy-to-make and easy-to-pick-up finger foods and that’s exactly why Farm Rich takes center field on my party table every time. 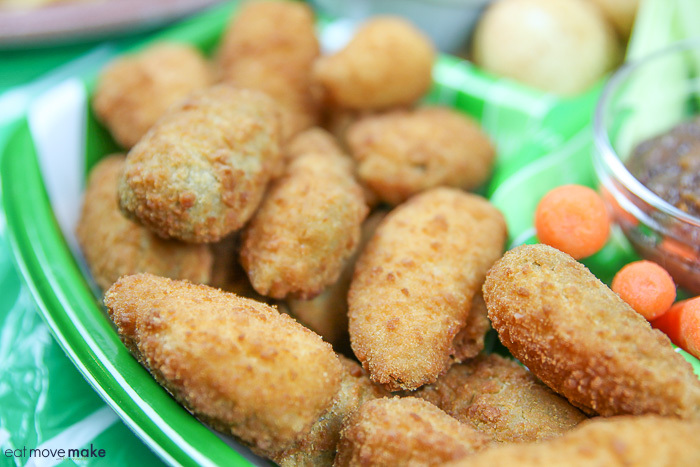 People love finger foods, so stick to those if you can. They’re fun and easy to eat! You’ll need a variety of serving spoons, forks, toothpicks and tongs on the food table, but if people don’t have to juggle silverware along with their plate of game day snacks when they’re eating, all the better. Go with quick and easy. 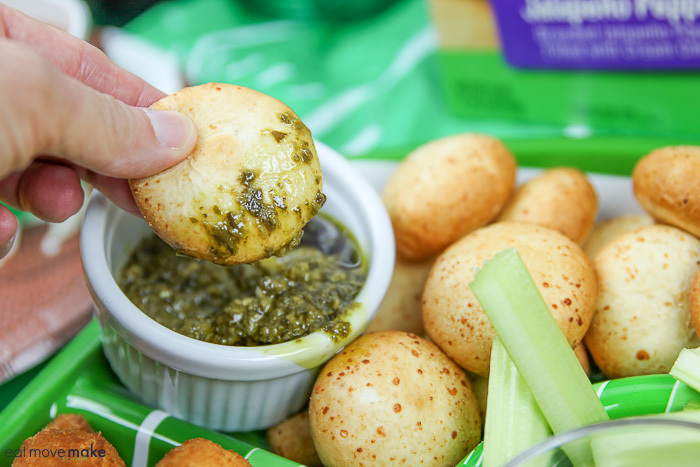 I mentioned Farm Rich snacks are key on my homegating menu, and there’s a reason for that. 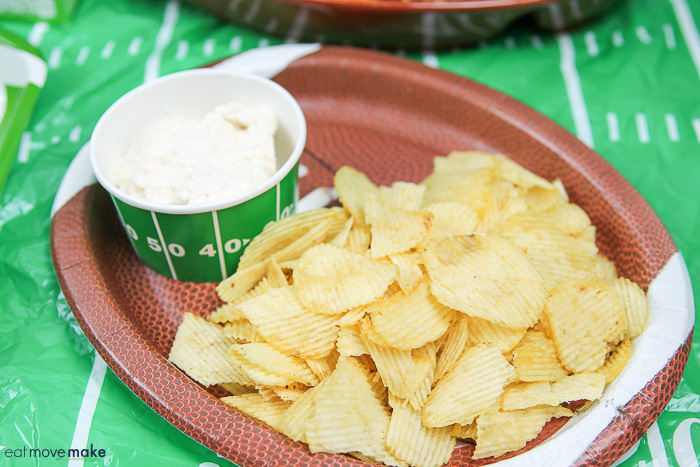 Not only do they bring fun to the food table, many of the items like Mozzarella Bites, NEW Grilled Cheese Sticks, Pulled Pork Sliders, Meatballs and Loaded Potato Skins can be microwaved and ready in minutes, so it makes it super easy and convenient for me to keep the food refilled throughout the game. After all, I want to enjoy the party too! 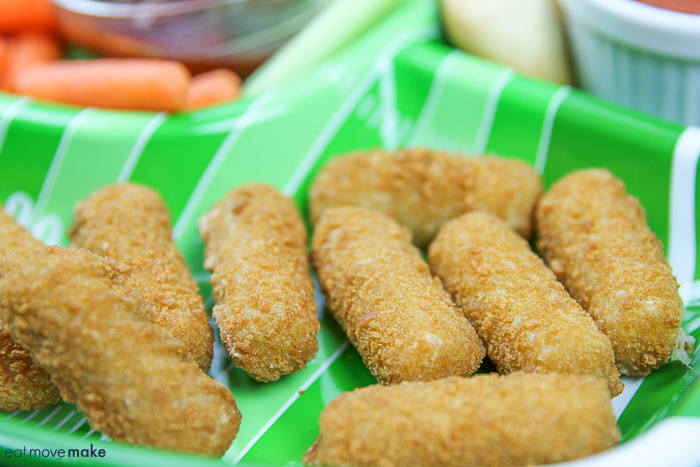 ~ Farm Rich Mozzarella Sticks – I like to cook these in my home fryer, but they can be put in the oven easily as well. 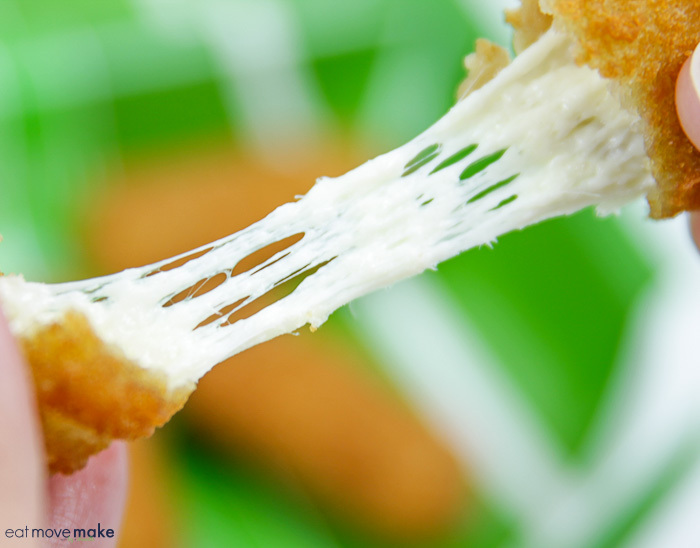 That gooey, melted string of cheese surrounded by a crispy, golden crunch is loved by everyone. 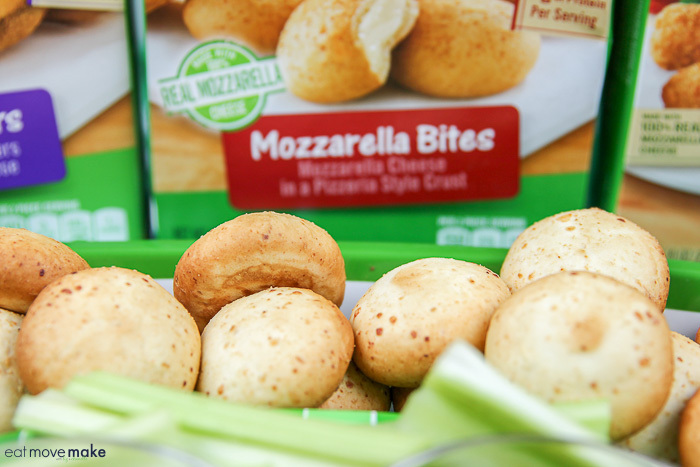 ~Farm Rich Mozzarella Bites – These can be prepared in the oven or microwave, and the soft, pillowy clouds enfolding gooey, melted Mozzarella cheese are to die for. ~ Farm Rich Jalapeño Peppers – They’re perfectly breaded and have a little kick to them balanced by a smooth layer of cream cheese. I prepare these in the home fryer, but they can also be made in the oven or toaster oven. Either way, they’re hot and ready in minutes! To balance the hot, satisfying game day appetizers, I like to serve cool, crisp veggies like celery sticks and carrots, cherry tomatoes, broccoli and cauliflower. It’s nice to have the variety. Crunchy snacks are infinitely satisfying and easy to eat, so include a selection of pretzels, nuts and chips on the party table. People love dip! 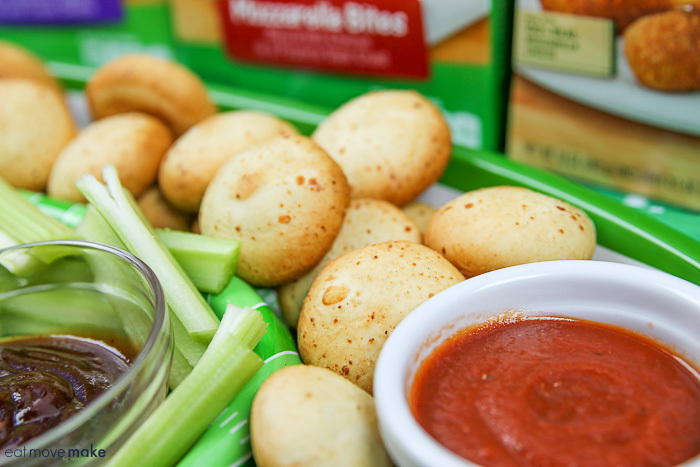 I always make sure to have favorites like marinara, BBQ sauce, onion dip, Ranch and tomato salsa on hand, but I also love to serve unexpected dip flavors to surprise and delight guests. Try basil pesto, red pepper pesto, black bean salsa, peach salsa or a spicy mango habanero salsa. 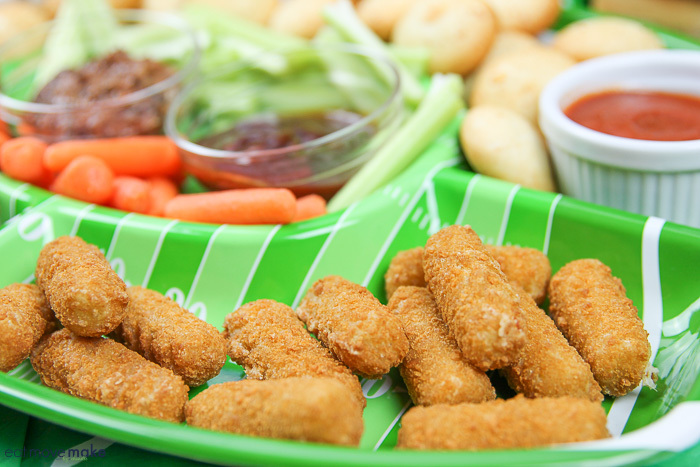 Now that your winning game day appetizers are on the table, you’re ready to relax and enjoy your football party! By the way, I found everything I needed for my homegate party at Walmart. They have a great selection of Farm Rich snacks. 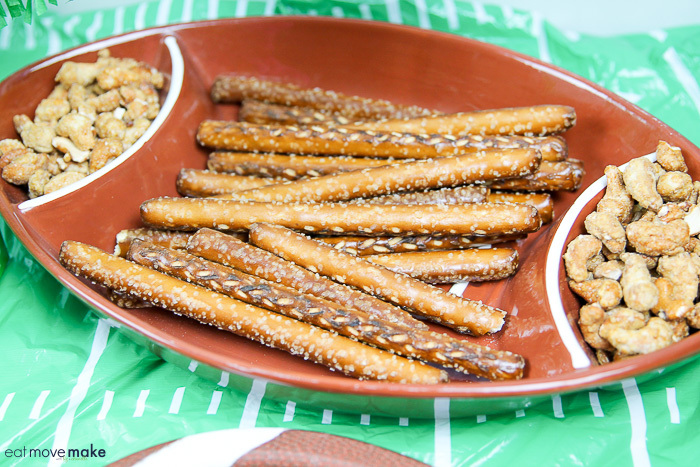 Click here for more game day ideas! 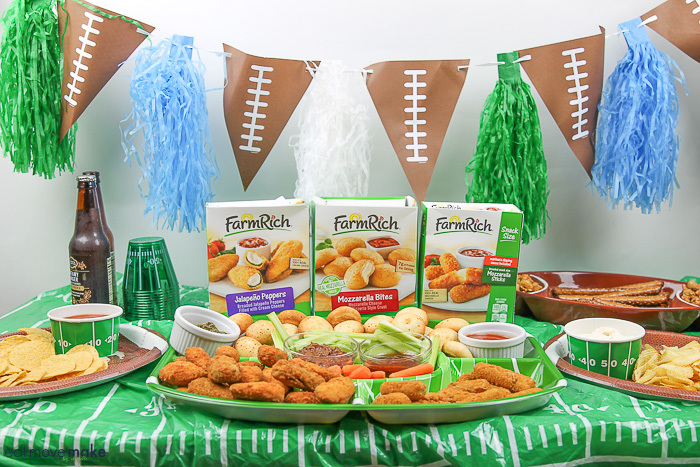 Enter the Farm Rich giveaway for the chance to win a game day party in a box (+ TV)! Visit the Farm Rich Instagram page @FarmRichSnacks to enter and click here for giveaway terms and conditions. 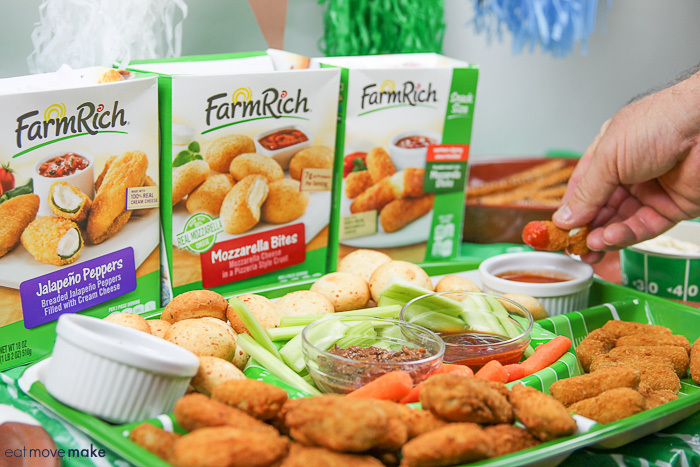 Thank you Farm Rich, for sponsoring my winning game day appetizers post! Like it? Check out similar posts on Eat Move Make!